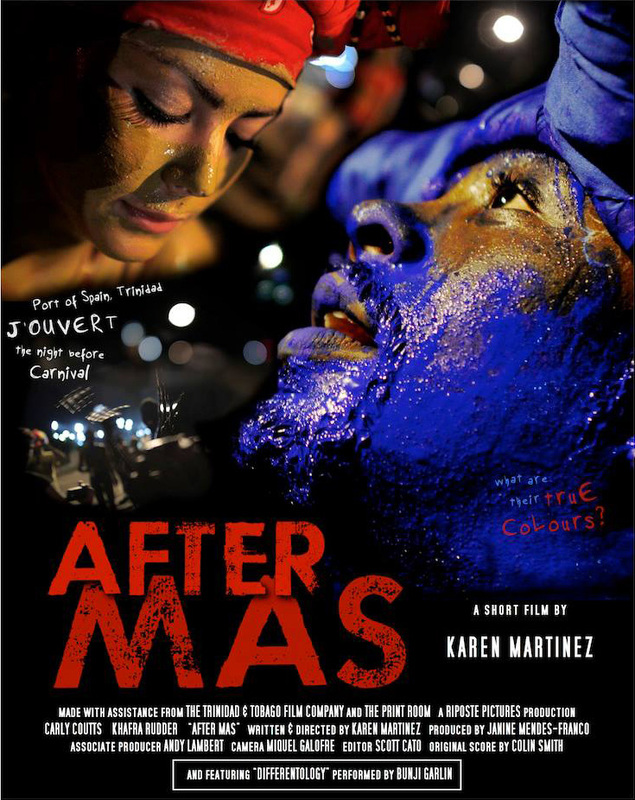 AFTER MAS is a new short film from London-based Trinidadian filmmaker Karen Martinez. It tells the story of a love that flourishes under the cover of darkness during the festival of Jouvert on the streets of Port-of-Spain. Shot in Trinidad in February 2013 during Carnival, we experience the charge of this bacchanalian drama before following the characters return to their separate lives. In the cold light of day, can these young lovers from very different backgrounds stay true to their desires? A story of love that flourishes under the cover of darkness during J?ouvert on the streets of Port of Spain.